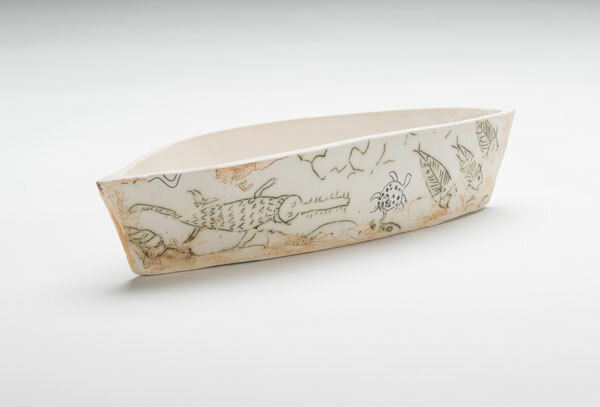 The Australian landscape, from the local Brindabella Ranges to the Central Desert and the Kimberley, has inspired Anita McIntyre’s ceramics practice for over forty years. In her paper clay forms and vessels, she combines observation and memory with historical and topographical references that visually express her relationship to the land. 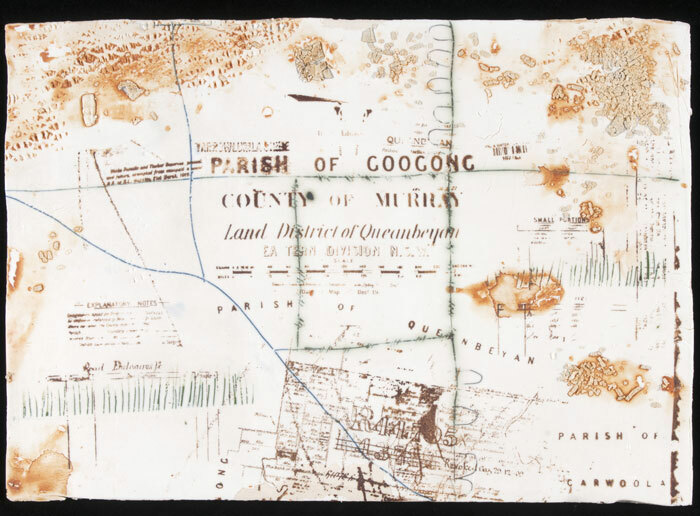 This relationship is always underpinned by a quiet acknowledgment of the deeply spiritual connection between the land and its indigenous owners. Anita’s work has been inspired by locations that have a particular resonance to her family history and colonial ancestry. Recent travels to Cambodia and Vietnam have become inspiration for her new body of work, “the overwhelming presence of Angkor Wat so similar to the overwhelming presence of the Kimberley”. 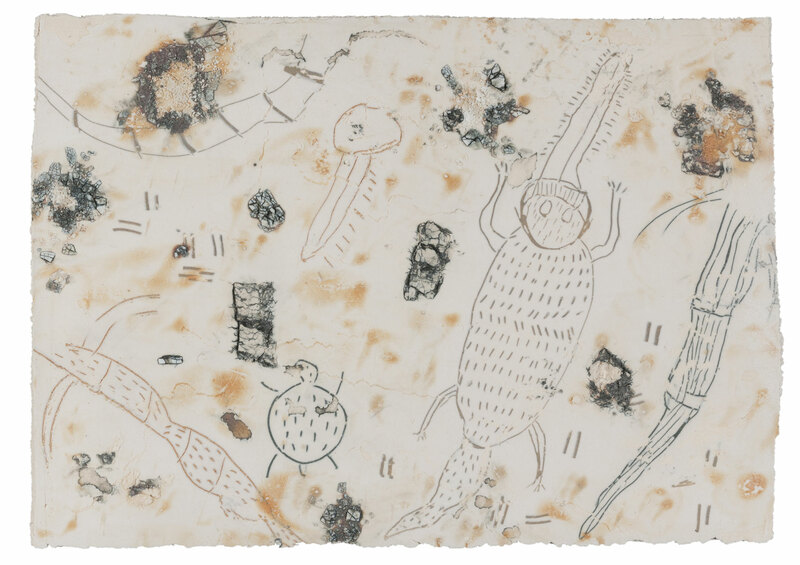 Her connection with the landscape, history and environment of these locations is depicted via an abstract language of text, gestural markings and cultural symbols, creating a distinct and profound impression of her journeys and experiences. Anita McIntyre studied ceramics at the Canberra School of Art, graduating in 1976. She has travelled extensively across outback Australia and overseas, continually finding inspiration for her work. She has been a long and active member of various arts boards and committees, including the Craft Council of the ACT, National Ceramic Award Committee, Strathnairn Arts Association, and most recently the board of the Belconnen Arts Centre. Anita McIntyre’s work is represented in collections throughout Australia, including the Canberra Museum and Art Gallery and the Museum and Art Gallery of the Northern Territory. 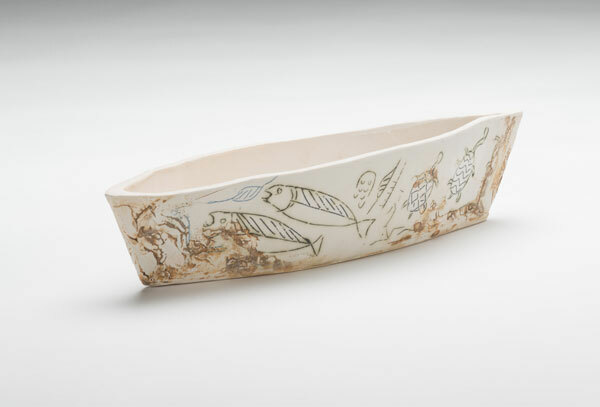 Anita is currently a visiting fellow and lecturer in Ceramics at the Australian National University.